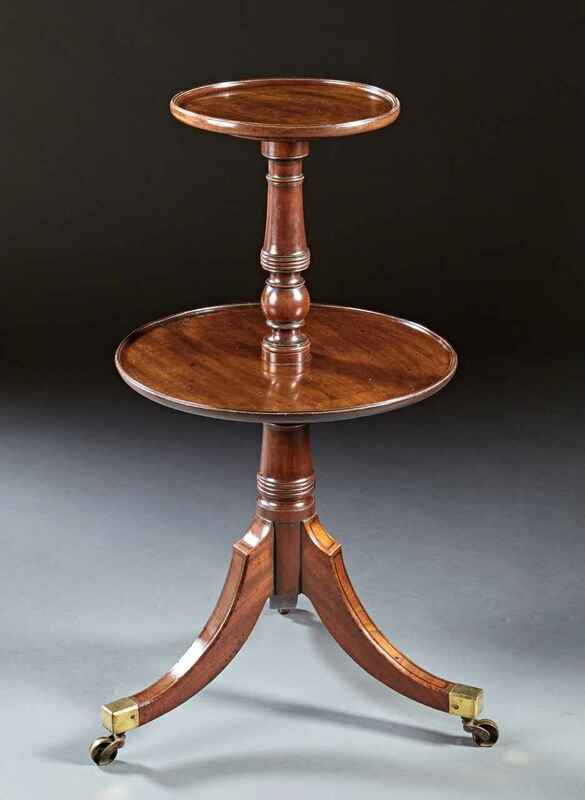 A mahogany Regency period two tiered and dished top etagere supported on an ebony inlaid base ending in brass casters. The rare small size makes this an easy placement in any home. English, circa 1800. Excellent condition.